A bouquet of flowers or a grand arrangement of flowers are the perfect way to spread love and happiness in your near and dear one's life. 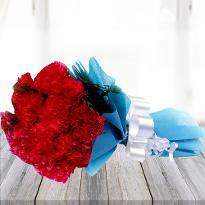 Send flowers to Delhi to show your special one that you care a lot. Flowers are the best choice when it comes to gifting. 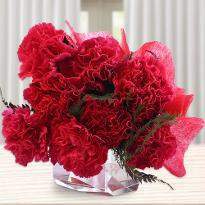 Explore the collection of different flowers for your loved ones and order and send it to make them feel extra special. 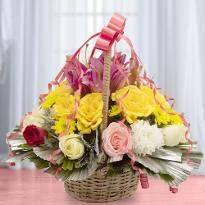 Our flower bouquets or baskets or special arrangements are made of the fresh flowers, exuding freshness and fragrance. Our flower delivery definitely helps you to bring the best of your special moments! 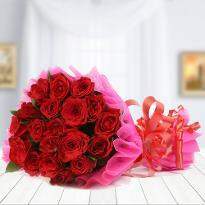 Winni offers flowers delivery in Delhi. 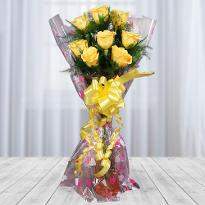 Order flowers online with an option of Midnight flower delivery & same day flower delivery in Delhi. Surprise your loved ones on special occasions by opting for flowers. Winni is a perfect gifting destination in Delhi for any occasion. Flowers are just another way to bring a smile on the face of your loved ones.A bouquet made up of a perfect combination of variety of flowers has the power to bring a million dollar smile on any face. Let it be time and any occasion of the year, a bunch of flowers is a perfect gift to make day in the life of your beloved friends and family really special.So create a perfect wow moment with a special arrangement of flowers with flowers delivery in delhi that fills the heart of your loved ones, packed and delivered by Winni in Delhi at prices that fit your budget. 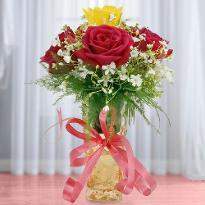 Send fresh flowers to Delhi for any occasion and bring a huge smile on the face of your loved ones. Inspired by the current trends, we generally keep coming up with new innovative designs of cakes and flowers for almost every occasion. We try and make the optimum utilization of our resources that has helped us streamline the sourcing as well as the timely and efficient delivery of the selected order of flowers that we offer at very economical prices. We at Winni aim to make your experience as pleasant as the flowers delivery in delhi that we would deliver. Weddings, birthdays, anniversaries, graduations, promotions, baby showers- no matter what celebration it is, we believe it would not be complete without the beautiful flowers in the picture. Give us the pleasure to serve you with our online flower delivery services and we promise to send some fresh fragrant air wrapped in an impeccable bouquet of flowers to Delhi for your loved ones as we believe that sending flowers leave an everlasting impression. Can we also have cake delivery in Delhi along with flowers delivery in delhi? A cake with flowers is the best combination ever. Winni offers the facility of cake delivery in Delhi with a combo of bunch of roses or a bouquet of orchids. Popular cakes in the favorites of chocolates, fruit cakes, photo cakes, egg less cakes can be clubbed with beautiful flowers for deliver in Delhi. 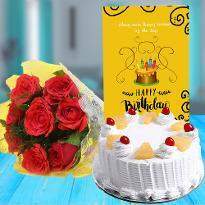 Celebrating happy times by delivering not only cakes but fresh mesmerizing flowers to your loved ones in Delhi is what Winni has been known for more than 4 years now. Want to send flowers and a cake to someone special residing in Delhi? Winni.in is just a knock away. 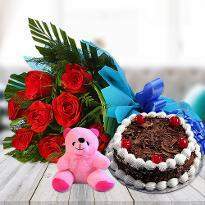 We are one of the largest florist chain and cake delivery site in Delhi. What differentiates us from the competitors is that no is as spread as we are in Delhi with a remarkable distribution network. 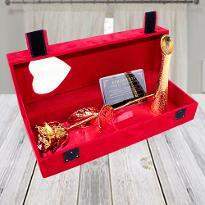 Our experts are doing a wonderful job as they have connected love and emotions together to bring out the best combination of gifts for all the memorable occasions. Tell us how you wish to deliver the flowers and we would offer you delivery of flowers in Delhi in different designs and beautiful colorful wrappings. Let’s adore your best friends with romantic and colorful anniversary flowers and gifts. Life could be really busy sometimes but we believe we are here to help you with our overnight and same day delivery of flowers in Delhi. Each and every flower bouquet is designed to help you send the right message to your best friends and make them how much you love them. You name the Occasion and we have a bunch of happiness ready for you. A wide variety of flowers like Roses, Gerberas, Lilies, Orchids, Carnations and Mixed flowers are available to make your celebration just awesome. We at Winni believe that all the experiences in the journey of life should be remembered and cherished lifelong. From birth to death, from dating someone to getting married, from birthdays to anniversaries, from being Sorry to being Thankful; Winni can provide you the right and bright combination of flowers to make your occasion more delightful and your relationship more strong. Your friends would admire the beauty of flowers and this gesture would add the warmth of sunshine to your calm and peaceful relationship. Winni promises you to deliver flowers online in Delhi, be it any time of day. You can also order flowers online at Midnight and Winni will do the midnight online flower delivery in Delhi thus making your occasions grander with the assortment of fresh handpicked flowers which add vibrancy to the occasion. Winni through its online flower delivery service in Delhi aims to create genuine moments that create an emotional connection with everyone. Our flowers are hand delivered as we aspire to deliver flowers in premium conditions that fill life with full of special moments.Occasions are more meaningful because of the presence of right person who completes it. And to make the person feel special flowers are the best medium to express the love and affection.You can send online flowers in Delhi sitting at any corner of the world through a click of a button at Winni. Let the occasion be any, Birthday,Father’s Day, Mother’s Day, Teacher’s Day, Valentine’s Day or Anniversary day;Winni guarantees you the best floral arrangements done using utmost care and affection that will perfectly suit the occasion and mood of your loved ones. We have a bold intention of bringing romance and delight back to what was the best exchange in the past:- the philosophy and the practice of giving and receiving flowers. Simply by a few clicks, you assure you the best cut flower delivery in Delhi. Register at Winni.in and choose the occasion and type of flowers you would like to have and we assure you to deliver the freshest flowers at your doorstep and on time. Winni also provides Midnight flower delivery service in Delhi. Send flowers with full confidence and ease curated with love. 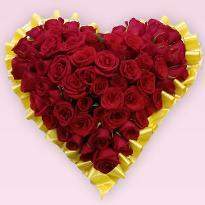 Trust Winni as your online Valentine flower delivery service in Delhi. 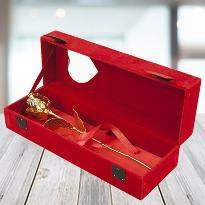 We have a huge number of satisfied customers who can vouch on the quality of our bouquet and gifts delivered. Keeping in mind the customer’s perspective we know the apprehensions that come to your mind while ordering gifts and bouquets online. In case of online flower delivery the customer firstly thinks whether he/she will the exact replica of flower arrangements which is displayed on the sites, because what sooths the eye is bought by the heart. The second biggest concern is quality and freshness of flowers. Here comes Winni.in to defy all your apprehensions and make sure that the best flower arrangements are made for you every time. You simply cannot beat our selection of fresh-cut floral arrangements. Lastly the thought that comes to customer’s mind is the price. Winni promises you to provide the best quality flowers at a very decent price. We have also provided various payment options like online payment gateways, paytm. We have had a great customer base in various cities who are fully satisfied with our services and we assure to provide the best of online flower delivery services in Delhi too. 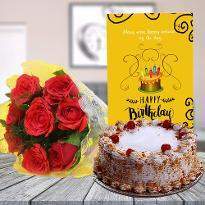 Can I make flowers delivery in delhi along with the gift? 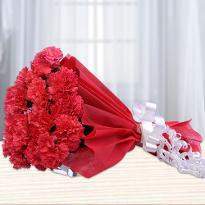 Yes you can make flowers delivery in delhi along with a special gift. A bouquet can of course be sent along with any gift listed on our website winni.in. Club the bouquet with one of the best floral arrangements and the cakes, teddies or chocolates to make the occasion eventful for your dear darlings. All the fresh cut flowers - be it the roses, lilies or orchids, florists at Winni make sure that these are delivered as fresh as these could be to its customers. Whether it is Valentine’s Day, Rakhi, Mother’s day, bhaia dooj, sending flowers along with the gifts that match the occasion is just a click away with Winni. 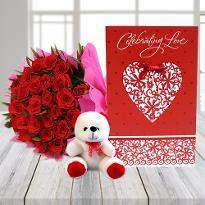 Delivering Valentine flowers online in Delhi; we know that it’s just not delivering the gift rather we deliver your emotions to the loved ones. We very well understand the fact that timely delivery is a must in making those emotions memorable. 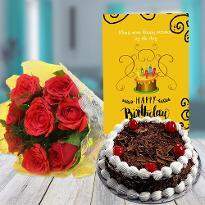 We make sure here at Winni that if you purchase flowers online from us, they are delivered on time and in the best of the condition through our service - cake delivery in delhi. Leave apart the thing that yes we do offer custom delivery services such as midnight flower deliver in Delhi and a fixed time delivery besides the same day flowers delivery in Delhi for any occasion. So be it the annual pre-Christmas splurge or your usual extravagant spending on the attractive gifts embracing sweets, cakes, flowers, chocolates and what not. The gifts for your loved ones are with such a pleasing packaging that your loved ones would feel an irresistible urge to open the gifts as soon as these get delivered through our express delivery online services. 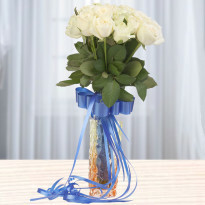 We are really passionate about delivering the flowers and gifts that bring smiles. We believe in 100% satisfaction guarantee to our clients and we do our every bit possible to make your flowers reach the recipient in time and in a good condition. We believe that the best way to express your love and feelings and celebrate the occasion is by saying it with flowers. Flowers send a strong message no matter where you are. From the romantic displays of red roses to carnations we have the perfect flower arrangements for any occasion. It comes down to capturing the moment it boils down to encapsulating that smile when your mother would receive the flowers and the cake on mother’s day or your sister receiving the gift on her auspicious birthday. No matter where you are, order beautiful flower baskets and send flowers with us. The best that we can do is to let you track where the flowers that you ordered online have reached. We follow a unique tracking system which helps you know exactly where we are with your order though you would be intimidated frequently with our messages with the expected delivery time. So make sure you call at the right time and greet them as soon as we deliver. We want you to capitalize on our strengths and make a good use of online flower delivery in Delhi by visiting Winni.in. Make your celebrations tantalizing by our online delivery services. 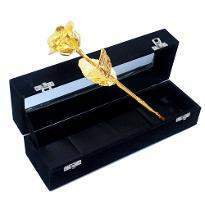 We are committed to deliver even a single flower on order for you. 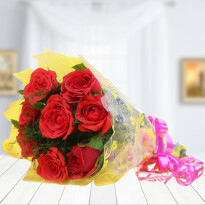 To Which Areas Winni offers flowers delivery in Delhi? Tell us where are we present in Delhi. We deliver flowers ordered online to the remotest part of Delhi. The most frequent locations are Dwarka, Saket, Mukherjee nagar, Uttam nagar, Laxmi nagar, New Delhi, North Delhi, North West Delhi, West Delhi, South West Delhi, South Delhi, South East Delhi, Central Delhi, North East Delhi, Shahdara, East Delhi, Connaught Place, Narela, Kanjhawala, Rajouri Garden, Defence Colony, Daryaganj, Seelampur, Preet Vihar, Sadar Bazaar, Palam, Delhi, Chanakyapuri, Model Town, Patel Nagar, Kotwali, Gandhi Nagar, Kalkaji, Vasant Vihar, Saraswati Vihar, Delhi Cantonment, Punjabi Bagh, Najafgarh, Hauz Khas, Civil Lines, Yamuna Vihar, Seemapuri, Paharganj, Naveen Shahdara, Parliament Street, Alipur, Kapashera, Mehrauli, Sarita Vihar, Karol Bagh, Karawal Nagar, Vivek Vihar, Mayur Vihar, Rohtash Nagar, uttam nagar, Uttam nagar, Nirman vihar, Nehru Place, Vikaspuri, Ashok Vihar, Cannaught Place, Dilshad Garden, Shalimar Bagh, Pitampura, Malviya Nagar, Sarita Vihat, Paschim Vihasr, Okhla, Nariana, Palam Vihar, Greater Kailash, peeragarhi and many more. 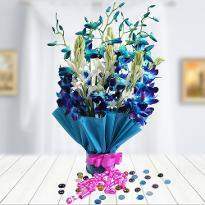 I ordered modern wishes bouquet for one of my friend in Delhi. It was superb delivery and i really like the white gerberra flowers. Thank you so much winni for delivering product on time. I love the flower quality. I decided to order red and yellow heart shape bouquet for my love on her birthday last week. I must say the flowers were out standing. My love totally appreciate the delivery process and fresh flowers delivery. Thanks winni for amazing delivery. Best flowers delivery. 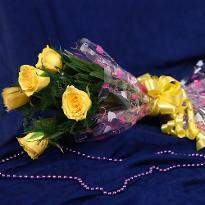 I ordered pink gerberra and yellow rose bunch for my friends in Delhi and Gurgaon. The flowers were totally fresh. Keep up the good work guys. Thank you for the amazing delivery. It was my mom's birthday and i decided to purchase flowers for her for same day delivery. I was confused which color flowers should i purchase then i call up customer care and ask them. They told me some amazing white and yellow roses bunch. My mother received fresh flowers and she was super happy on her birthday. Thanks to winni. I wanted to send flowers in Delhi but bit confused in selecting the flowers. It was my friend's anniversary. I call up winni customer care and take suggestions from them. Finally I ordered flowers in Delhi and it got delivered on perfect timing. It was great fun with winni and I love the service very much. Thank you winni for making delivery super fast. All the vest best for your future. Good work guys. 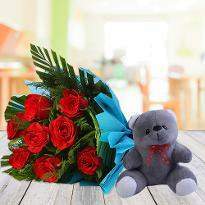 I placed order for small teddy with Ecstatic Surprise red roses for my wife staying in Delhi. This was first time that we were not together so I thought of sending red roses to her. She literally adored the flowers. It was last minute delivery and delivery was also on time. Prices are really affordable as compare to other websites. Thanks winni for making it special for my wife. We will surely use your services in near future. I usually order online flowers in Delhi but this I want to order something special and different for my fiance so I decided to send Groovy Bouquet red roses heart shaped bouquet. I requested to make little early delivery because I was not sure when my fiance will leave the office. 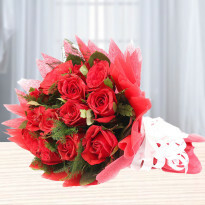 Winni service perfectly delivered the flowers delivery in Delhi. It was perfect flowers, arrangement was very beautiful. Thank you winni for the lovely flowers delivery. I ordered Ultimate beauty white flowers for my wife. As I was the first customer of winni, I got 10% on festival season. My wife just loved the fresh flowers even I was very happy to see such a big stem white flowers. Thank you winni for delivering fresh white flowers for my wife. I will definitely use your services in near future. All the very best and good luck. I loved the pink flowers , my papa sent me on birthday . Very nice service, it is very nice when parents can send us something when we are away from them . Thanks to my sweet sweeet n caring papa n winni. â? ?Thank you for your excellent speedy service, my friend in hospital has received her flowers and has sent a message to say that they are truly beautiful. It is difficult being so far away and not being sure what to expect, but I am very pleased with my dealings with you and your company. I also found the website easy to navigate and use.â?? winni.in flowers provided an excellent service. Some great specials on already reasonably priced flowers, seamless on my end and delivered around 11am on delivery day - perfect. Recipient was very taken with the arrangement. Thank you to all the members of Winni team to reach my order to the addressee (after rectifying your mistake) at Bangalore in night on 13th Sept-16 in spite of the local disturbance & restless condition there. Although you have already told that the design and the fruit on the fresh fruit cake mag vary according to the availability of seasonal fruit. But wat I recieved was almost 2-3 pieces of fruit on the fruit cake n rest all filled with just cream. The picture you had shown on the site was overloaded with the fruits and that is what it actually looks like when we buy it from the cake shop. And the one you had delivered was nothing like fresh fruit cake. It was just a crean cake. I know u want to make the profit. But this is not how you deals with the customers In buisness. I am totally disappointed with winni.com and wiuld never like to use it again. Service is good. But please please double check the personal message which we have submitted. I had submitted -Happy 50th Birthday Mom!- But instead it was delivered as -Happy 50th Birthday Mami- with the flowers. Please train the delivery boy to be professional. He asked the recipient to come outside and delivered the product on road itself instead of the door address. This is very unprofessional and unacceptable.